Earlier this millennium, I learned from my friend Stan about the Esalen Institute a remote 27 acre retreat on the Big Sur coastline between Monterey and San Luis Obispo, California. Digging, I learned that Esalen was founded in 1962 as “an alternative educational center devoted to the exploration of what Aldous Huxley called the ‘human potential’—the world of unrealized human capacities that lies beyond the imagination.” I was intrigued. 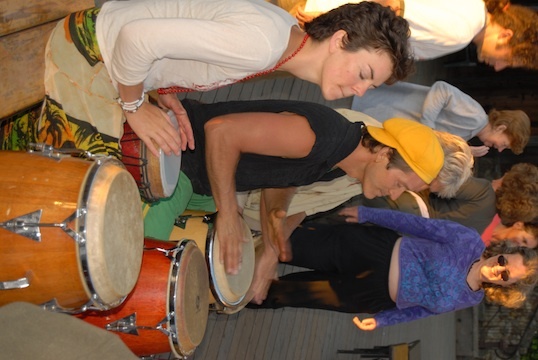 So in the summer of 2004, I made my first journey to Esalen. I arrived at Esalen with my friend Stan after driving the better part of a day from Orange County, departing from civilization at San Luis Obispo and another 90 miles of the 2-lane Pacific Coast Highway, California 1. Arriving, I was taken by the striking beauty of the place. After checking in at the lodge, we found our simple but very comfortable accommodations. After a brief exploration of the grounds, we headed to dinner at the lodge. Esalen’s meals are served camp style and the food is excellent. Meat, dairy, vegetarian, vegan, and raw foods are served at every meal and produce is picked daily from Esalen’s five-acre organic farm. Stan and I had enrolled in a five-day workshop led by Steven Harper, an eco-psychologist, wilderness guide, author, and artist. At 8:30 p.m. on arrival day, we had our first session, an orientation to the week’s activities and brief explanation of the goals of the workshop. Harper’s work focuses on wild nature as a vehicle for awakening. For the remainder of the week, he took us for practiced meditative walks through four diverse natural areas in Big Sur’s Ventana Wilderness—a deeply satisfying, introspective experience. After 20 or so years in business, I so needed to reconnect with nature and Steve’s workshop was the ideal medium. Since that first workshop, I have returned to Esalen four more times and each experience has brought new perspectives and opportunities for inward exploration. For instance, a workshop with cultural anthropologist Dr. Angeles Arrien, The Four-Fold Way: Walking the Paths of the Warrior, Teacher, Healer utilized Shamanic dreaming techniques and practice that allowed me to reconnect with long forgotten experiences in overcoming personal and professional challenges today. Another time I came with my wife and young children for a week-long session with Rick Jarrow that helped me change course in my career, providing the impetus for me to return to school. 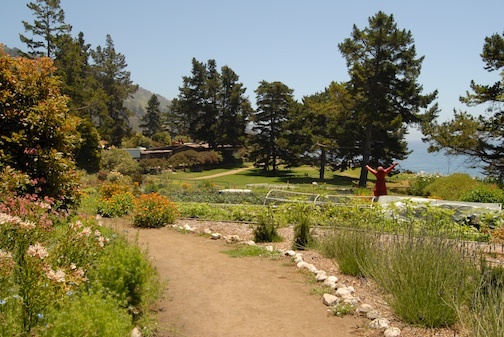 Esalen has a children’s program for seminarians through its Gazebo Park School Early Childhood Program and babysitters are available during evening sessions. • Writing the Wild led by Marisa Handler, author of Loyal to the Sky, which won a 2008 Nautilus Gold Award for world-changing books. Her essays, journalism, fiction, and poetry have appeared in numerous publications, and she teaches creative writing at Stanford and the California Institute for Integral Studies. • Framing Nature: Photography as Meditation and Mirror led by Andy Abrahams Wilson, an award-winning filmmaker and photographer. Recent projects include the Academy Award semifinalist Under Our Skin and the PBS broadcast The Grove. His focus is using the camera to create a bridge between ourselves and our environment. Generally, depending on my level of stress it takes up to two days to melt into the Esalen experience. It is for this reason that I recommend at least a five-day workshop, ideally seven-days with a five-day and a three-day workshop.